Mailing Address: 80 Marine Parade Road, #03-07/08 Parkway Parade, S(449269). Please indicate on the reverse side of cheque, your full contact details (Name/Mobile/Email) and event details you are paying for. 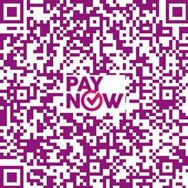 PayNow - BANK TRANSFER to MS WORKS Pte Ltd. If you are making payment for multiple items or registrations, please enter the TOTAL amount. All payments made are non-refundable, unless specifically indicated. All registrations or reservations are non-transferable, unless specifically indicated within the event page or printed flyers. After successful process of payment, we will be contacting you with further details. (e.g. tickets collection / workshops registrations etc...) . Please keep a copy of the payment advice for reference and a proof of payment when necessary. Email us at events@msworks.sg if you need assistance or clarifications. Please enter your contact details first BEFORE clicking "Buy Now". NOTE: Even for multiple items, Quantity is still fixed at ONE, just enter the TOTAL Amount Payable. You will be directed to PayPal secure payment page, where you can enter the respective amount to be paid. After successful process of payment, we will be contacting you with further details regarding the specific event (e.g. tickets collection / workshops registrations etc...) . Next you will be directed to PayPal secure payment page, where you can enter the respective amount to be paid.